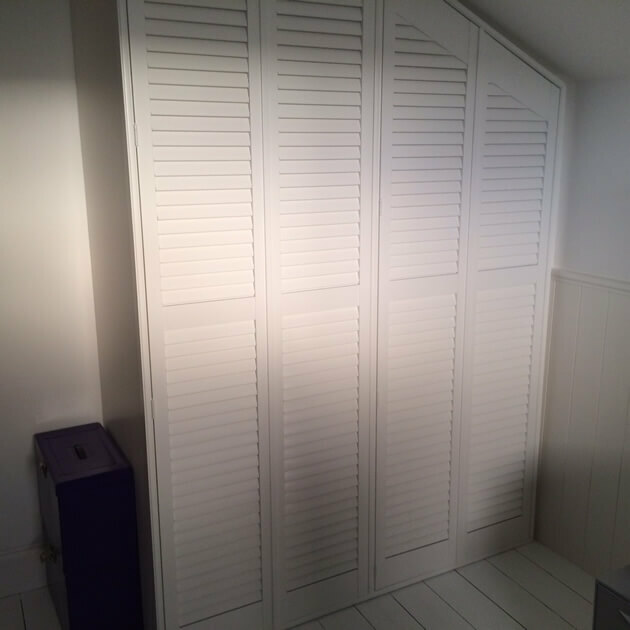 Not only do we fit shutters to windows and doors throughout people’s homes, but we are now often asked for our shutters to be fitted to wardrobes. This is a great looking alternative to standard wardrobe doors which can be opened just as easily for access to your clothing and items within. 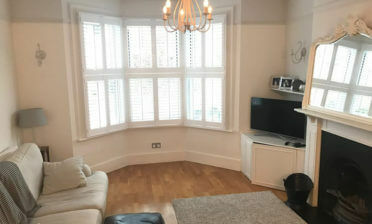 Shaun was on hand in Brixton, South West London to carry out this installation which also required special fitment due to the wardrobes location in a loft conversion! As you can see the shutters required special shaping to fit the roof angle to the right hand side of the wardrobe. 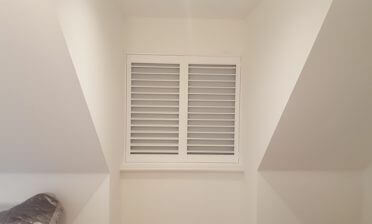 With our bespoke shutters this can easily be achieved without hampering the way the shutters operate or look. In fact our shutters are the perfect solution for a job like this. The shutters were created from our Fiji Range of material which is a fantastic full bodied hardwood renowned for its rigidity and was also the perfect choice when it comes custom shaping. 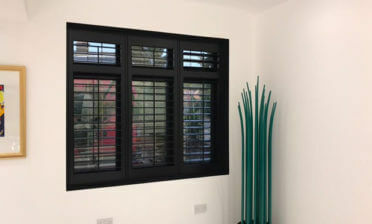 The 46mm louvres are fixed into position with this kind of installation where they are not required to move as they would on a window where light entry is of importance. The shutters were finished in a pure white with matching hinges blending in with the rest of the rooms decor. The shutter doors are fully functional allowing easy access to the wardrobe and an attractive alternative to standard doors when closed.